These baby shower invitations are a lovely gender neutral option. Our most popular baby shower invites! 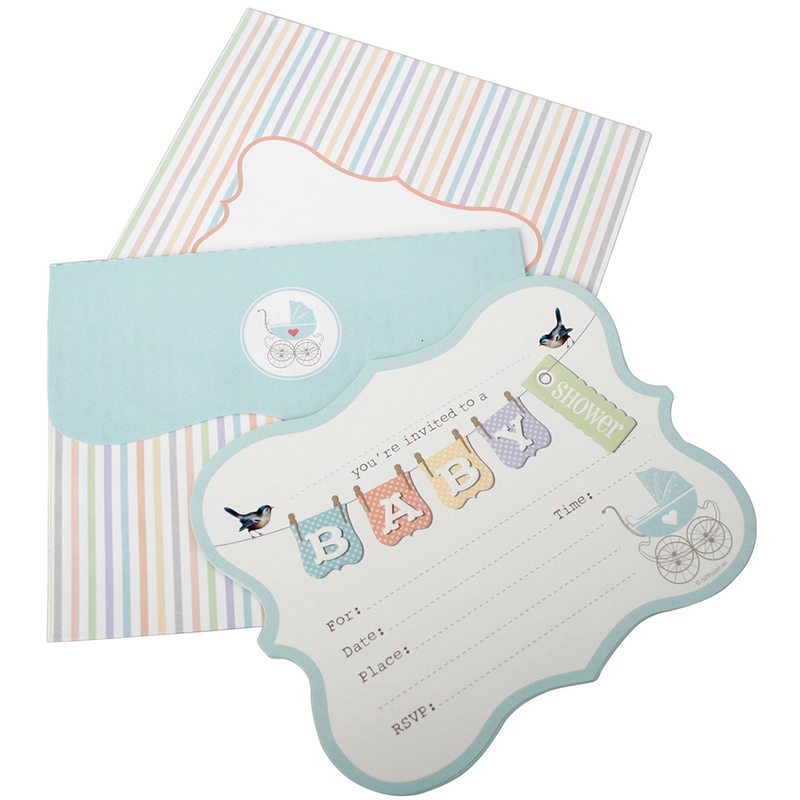 Invitations ~ Baby Shower are our most popular baby shower invites and it is easy to see why! Featuring a mix of pretty pastel colours, a vintage styled pram, little birds and a bunting across the card which says Baby Shower, these invites will be loved by your guests. They are made from thick card and come complete with a coordinating envelope and a self-adhesive magnetic strip for attaching to the back of the invitation.